* 67 CSU graduates at annual graduation ceremony in Dubbo on Thursday 13 December * Ceremony to be held at the Dubbo Regional Theatre and Convention Centre * Graduates prepared for career opportunities in rural and regional Australia to support local communitiesCharles Sturt University (CSU) in Dubbo will this week celebrate the achievements of its graduating students at its annual graduation ceremony. Sixty-seven students will graduate at this Thursday’s graduation at 9.30am at the Dubbo Regional Theatre and Convention Centre. The graduation is expected to attract more than 270 guests. Students and guests will be welcomed by CSU Deputy Vice-Chancellor Professor John Germov and Aboriginal Elder Aunty Margaret Walker, who will provide the Welcome to Country. The occasional address will be delivered by CSU Alumni, Midwifery Consultant for the Local Health District and recent recipient of a NSW Premiers Award for individual excellence, Tammy O’Connor. Head of Campus at CSU in Dubbo Ms Cathy Maginnis (pictured) said that Thursday’s graduation will be an opportunity for students to be recognised for their efforts and share it with family, friends and those who have supported them throughout their studies. 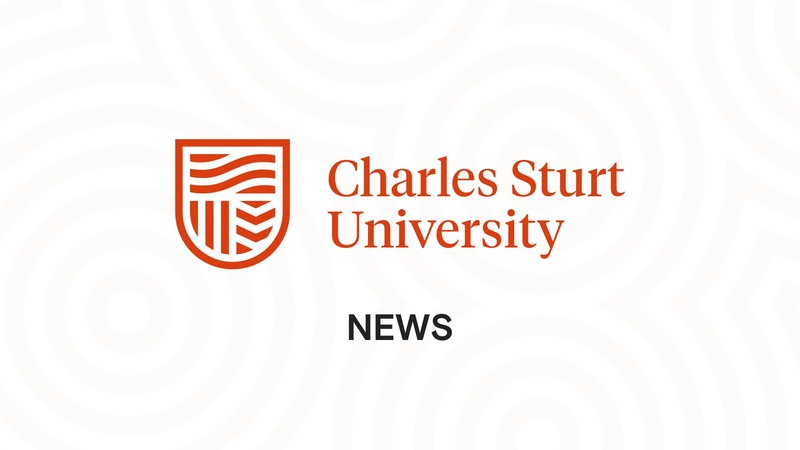 “Charles Sturt University prides itself on delivering quality higher education to produce industry-ready professionals for careers in rural and regional Australia,” Ms Maginnis said. “The fact that our graduates from the School of Nursing, Midwifery and Indigenous Health are highly sought after by employers, with a graduate employment rate ranking among the highest in the nation, is a credit to these student’s hard work.”CSU in Dubbo has positioned itself as a leader in rural NSW health and has been recognised with the external accreditation renewed for the Graduate Diploma of Midwifery and the Bachelor of Health Science (Mental Health). The CSU School of Teacher Education in Dubbo has enjoyed rewarding and ongoing relationships with schools and other educational institutions in the community. While the Bachelor of Social Work offered on-campus in Dubbo and online, continues to grow, with an increasingly valued reputation in the local area. Ms Maginnis said the Dubbo campus has made quality higher-education accessible to those in rural areas, providing a wonderful mix of course offerings online and on campus. “We are so lucky to have such fantastic facilities and strong relationships in Dubbo and beyond. These relationships are instrumental in assisting our graduates on their career path and in supporting local communities,” Ms Maginnis said. Students from all faculties from CSU in Dubbo will be acknowledged this Thursday, with Mr Thomas Nelson and Ms Grace Gower from Dubbo College Senior Campus as Yeomen Bedell, and Mr Geoff Wise who will be the Esquire Bedell. The CSU in Dubbo graduation ceremony starts at 9.30am Thursday 13 December at the Dubbo Regional Theatre and Convention Centre in Darling Street, Dubbo. * Free CSU event 'An Evening with The Exchange' on Thursday 1 November to boost local business startups * CSU keen to share its facilities to help business strengthen the local economy * Event will help forge new business connections and business growthThe next Explorations Series public lecture at Charles Sturt University (CSU) in Dubbo on Thursday 1 November will examine the role of the social impact organisation The Exchange and its newly forged relationship with the University.Head of Campus at CSU in Dubbo Ms Cathy Maginnis (pictured) encouraged anyone wanting to start a business in the Dubbo region to attend ‘An Evening with The Exchange’ to learn more and make connections.“While The Exchange’s story began years ago, it took flight after the AgriFutures Australia Rural Women’s Award backed an initiative to research the needs of all business owners in regional NSW.“I’m delighted that through a unique partnership, The Exchange now calls Charles Sturt University in Dubbo, home,” Ms Maginnis said.“The Exchange is a social impact organisation, here to give opportunity to people in regional Australia who are ready to get started and launch their own business.“Through the partnership agreement with The Exchange, the University is keen to share its facilities to assist start-up businesses to achieve their business goals and make a positive impact on the local economy.”Ms Maginnis said this event is more than a public lecture, rather an opportunity to meet The Exchange founder Ms Jillian Kilby, listen to her story and learn about her journey before launching The Exchange.“Meet some of the businesses who have taken the leap, launched and who are thriving through The Exchange, and also talk honestly about some of the challenges and the fears which start-up businesses work to overcome,” she said.More information and registration to attend the free event is here:http://news.csu.edu.au/events/dubbo/explorations-series-in-conversation-with-the-exchangeThe free ‘Explorations Series: An Evening with The Exchange’ public lecture is at 6pm Thursday 1 November at CSU in room 121, building 901, Tony McGrane Place, Dubbo. * CSU partners with The Exchange to create exciting new co-working space in Dubbo * Keen interest from local startups to work at new centre * More business networking and training events to boost startups’ success and jobs growthCharles Sturt University (CSU) in Dubbo is set to become a Startup centre for aspiring businesses in the region.Head of Campus at CSU in Dubbo Ms Cathy Maginnis has announced the University is partnering with The Exchange Dubbo Pty Ltd (The Exchange) to build a community for new and growing business owners within Dubbo and the wider region.“Charles Sturt University and The Exchange confirm their intention to pilot this co-working space so new businesses can to co-work and thrive,” Ms Maginnis said.“We have already had a pleasingly fast response from startups keen to work here.“The community will use allocated space at the University in Dubbo free-of-charge, and The Exchange will coordinate with the existing service providers in Dubbo to ensure regular events will be hosted at the campus to bring this community and others together.“Members who join the community will have the opportunity to focus and collaborate; have pride of place; be inspired by ideas and education; feel safe starting companies; and be surrounded by peers and mentors.”Agrifutures Rural Woman of the Year Ms Jillian Kilby launched The Exchange with seed funding from her company The Infrastructure Collaborative. It is part of her commitment to “help people who have been sitting on that idea for too long or slowly chipping away from home and want to take their venture to the next level.“The Exchange is where space to think meets room to grow. Where co-working meets community. Where ideas meet their make,” Ms Kilby said.Throughout the pilot, the University will support The Exchange’s goal to ensure no future founder, business owner, or remote worker, stalls at the boundaries of their confidence, capacity and capability.The CSU innovation agenda supports the development of an entrepreneurial ecosystem across its footprint, encourages interaction between small to medium-sized enterprises (SMEs) and the University, and encourages jobs growth in the region.CSU already provides tailored programs and technical support for growth, as well as business networking and training events at a number of the University’s campus locations around NSW. The University’s mission is to build skills and knowledge in its regions. * Scholarship fund-raiser dinner honours former Mayor of Dubbo and MP for Dubbo * Tony McGrane Memorial Scholarships awarded so far to 12 recipients from locations including Ballimore, Gilgandra, Dubbo, Parkes, Narromine, Wellington, Coonamble, and Trangie * Guest speaker at 2018 dinner will be Mr Roger Fletcher, owner of Fletchers International AbattoirThe Charles Sturt University (CSU) biennial 2018 Tony McGrane Memorial Scholarship dinner will be held Dubbo RSL Club on Monday 17 September.The scholarship honours the memory of Mr Tony McGrane (pictured), a former Mayor of Dubbo and later Member for Dubbo in the NSW Parliament who worked hard to establish CSU in Dubbo.Head of Campus at CSU in Dubbo Ms Cathy Maginnis said, “The University and I fully support the Tony McGrane Scholarship committee in their ongoing commitment to raising funds to provide scholarships to assist our students who reside in the Orana Region.“Scholarships are essential to assist rural students to engage in higher education because it provides opportunities for them to learn, to improve both their own and their families’ health and wellbeing, and provides greater employment opportunities.“The Tony McGrane Scholarship can mean the difference between students continuing to study or not, and greatly assists with the costs of travel, attending work placements, and eases other financial pressures.“The more funds that can be raised for the Tony McGrane Scholarships, the more scholarships can be awarded to students to increase their chance of achieving their goal and completing their study.”There have been 12 recipients of the Tony McGrane Memorial Scholarships, and this year’s recipient was a nursing student from Trangie.The guest speaker at the dinner this year will be Mr Roger Fletcher, who owns Fletchers International Abattoir. He also has rail, wool and grain enterprises, and is a board member of Infrastructure NSW. Mr Fletcher had a long association with Tony McGrane, and with CSU which awarded him an Honorary Doctorate in Business in 2007 in recognition of his business contributions to the western region.Chair of the Tony McGrane Scholarship Committee Mr Geoff Wise said, “The 2018 dinner on Monday 17 September marks the 14th anniversary of the death of the late Tony McGrane, and aims to guarantee that perpetual scholarships can continue to support students from the Orana Region who attend the University in Dubbo.”Mr Wise explained that the committee is working to establish an adequate sized capital fund through tax deductable donations and attendance at the biennial dinners to support the ongoing scholarships.“All these funds are contributed through the CSU Foundation Trust and held specifically for the Tony McGrane Scholarships,” Mr Wise said.“The CSU Foundation has been extremely supportive of the efforts from the Orana Region, and has generously underwritten the provision of Tony McGrane Scholarships for the next three years.“Twelve students from locations including Ballimore, Gilgandra, Dubbo, Parkes, Narromine, Wellington, Coonamble, and Trangie have been awarded Tony McGrane Scholarships. The range of locations complements the diversity of both financial support towards the Foundation and areas of advocacy generously given by Tony McGrane.”Full-time students are eligible to apply for each annual $3,000 scholarship, with preference given to students in the first year of their studies.The cost per person to attend the biennial 2018 Tony McGrane Memorial Scholarship dinner is $150. To book a table or purchase individual tickets please promptly contact the Dubbo RSL Club on 6882 4411. A Charles Sturt University (CSU) Foundation Scholarship presentation ceremony will be held in Dubbo on Wednesday 8 August.Director of CSU Advancement Ms Sarah Ansell said the ceremony is one of five held to award $1.3 million in scholarships to 300 students across the University community.“The scholarship ceremonies are an important opportunity to celebrate the achievements of our students, the generosity of our donors, and the support and commitment of our local communities,” Ms Ansell said.“Scholarships provide access and opportunity for our students, ensuring they receive an education which will in turn allow them to bring knowledge, skills and social capital back to their own communities.”Ms Ansell noted that the scholarship ceremonies were also a way for the University to recognise the significance of the donors.“Their scholarships are vital in alleviating some of the barriers to higher education and ensuring students can concentrate on their studies and enjoy an enriching student experience,” Ms Ansell said.The scholarship presentation ceremony will be held on Wednesday 8 August from 6pm at the lecture theatre (room 202) at CSU in Dubbo. * CSU CUP small grants available for Dubbo region arts and culture projects * Applications close Friday 24 August * Previous recipients include the Dubbo Koori Interagency Network, Marathon Health/headspace (Dubbo), Wee Waa High School, Henry Lawson Festival of Arts in Grenfell, Uranquinty Preschool, the Wagga City Rugby Male Choir, Canowindra Arts Inc, Cudal Public School P and C Association, the Rotary Club of Orange Inc, and the Bathurst Memorial Entertainment Centre * The grants help the community to encourage participation in arts and cultureThe next round of 2018 Charles Sturt University (CSU) Community-University Partnership (CUP) grants for arts and cultural activities are available for applications.Individuals and community groups across the University’s regions covered by its campuses in Dubbo, Bathurst, Albury-Wodonga, Orange, Wagga Wagga, and Port Macquarie are invited to apply.Head of Campus at CSU in Dubbo Ms Cathy Maginnis (pictured) said, “The University provides up to $20,000 worth of CUP grants across its regional footprint, and I encourage individuals and groups with projects or initiatives that meet the criteria to apply.”Applications close on Friday 24 August, and the CUP grants application form is here:https://about.csu.edu.au/community/grants/arts-and-cultureIn 2016 $1,000 CSU CUP arts and culture grants were awarded to Dubbo Koori Interagency Network, for an art show at Barraamielinga Indigneous Student Centre Dubbo Campus by CSU students and community artists; Marathon Health/headspace (Dubbo) for Creative Psychotherapy for Vision Impaired Young People; and Wee Waa High School for its inaugural Combined Schools Art Exhibition and Art Workshops.Previous 2017 CSU CUP arts and culture grant recipients from across the CSU regional footprint include:The Rotary Club of Orange Inc received a $1,000 CSU CUP arts and culture grant to stage 17 poetry workshops in 10 primary schools across the Orange region from17 to 27 October 2017.The Bathurst Memorial Entertainment Centre (BMEC) used its $1,000 grant to bring professional writers to speak at the Bathurst Writers’ and Readers’ Festival, and keep the festival free and therefore accessible for the community.The Henry Lawson Festival of Arts in Grenfell organises national competitions and exhibitions in the literary, visual and performing arts, and celebrates and promotes the winners. As in 2016, the CSU Cup grant was used to help stage and judge the 2017 Verse and Short Story Competition.Mount Austin High School in Wagga Wagga used its grant to help fund students to go to Sydney for rehearsals for State Dance and the Schools Spectacular. The grant assisted the students with accommodation and food while in Sydney for rehearsals and performances.Uranquinty Preschool’s project explored the music of other cultures with three- to five- year-old children. The grant was used to invite musical artists to the preschool to engage the children in music and dance with instruments that included a didgeridoo, and African drums. Instruments, CDs and cultural costumes were also purchased to support this project.The Wagga City Rugby Male Choir, in conjunction with the South Wagga Public School used the CSU CUP grant to contribute to the availability of sound and amplification equipment to assist student band members to engage with learning and future musical education.The Canowindra Arts Inc CSU CUP grant funded an art course for young artists in Canowindra to develop students’ personal skills in specific art mediums and styles, and facilitated their practical knowledge and application of art.Cudal Public School Parents and Citizens Association received a $1,000 grant to create stronger ties within the small community by staging a school and community theatrical production. The funds were used to cover costs associated with the project, including sound and microphones for students to use during the play and the creation of props and costumes. * New photographic exhibition at CSU in Dubbo from Wednesday 1 August to Friday 21 September * Exhibition explores physical and mental illness, and themes including chronic pain, isolation, anxiety and loss of identity * The images are storytelling tools to create an emotional impact to make others think about things that may not be commonplace in their livesA new photographic art exhibition at Charles Sturt University (CSU) in Dubbo from Wednesday 1 August to late September explores the emotions and experiences of being a chronically ill child, teenager and adult.CSU nursing lecturer and researcher Associate Professor Rachel Rossiter in the CSU School of Nursing, Midwifery and Indigenous Health will be the guest speaker at the exhibition opening at 6pm on Wednesday 1 August.Professor Rossiter, who is undertaking research for Parkinson’s NSW, said, “This visual chronicle follows the artistic maturing of emerging artist Mr Tyler Grace, and tackles both the seen and unseen impacts of chronic illness.“This ongoing photographic self-portrait series takes the viewer inside the often unbearable world experienced by him, as well as many others who experience chronic illness.”Mr Grace said, “This iteration of the exhibition also focuses on raising awareness for Fibromyalgia and Chronic Fatigue Syndrome/Myalgic Encephalomyelitis (CFS/ME), illnesses I suffer.“The images in this exhibition explore both physical and mental illness, and specific themes include, but are not limited to chronic pain, isolation, anxiety and loss of identity.“My aim for this exhibition is to not only tell my story, but for those stories to help those who don't suffer gain a small insight into what it can be like being chronically ill, and to also help others that do suffer with the topics covered realise that they aren’t alone, and that they can achieve their dreams despite their limitations.”CEO of Parkinson’s NSW Ms Jo-Anne Reeves said, “Initiatives such as this art exhibition provide the opportunity to highlight the day-to-day struggles and realities experienced by people living with chronic illness.“Parkinson’s NSW is pleased to be working in partnership with Charles Sturt University and Associate Professor Rachel Rossiter and the research team to highlight the need for specialist nurses in rural and regional areas of NSW.”Professor Rossiter said the exhibition is free and open to the public and encourages people to see this visually stunning and thought-provoking exhibition.Mr Grace explained that storytelling is something that has always been a part of his life, whether it be through photography, videos or writing.“My images are the most important storytelling tool I have and I aim to create an emotional impact while making others think about things that may not be commonplace in their lives,” he said.“I like to invoke emotions, explore thoughts and attempt to explain experiences through my imagery. Most of those thoughts, emotions and experiences come from my own life, such as my self-portraits, which tell stories of what I experience being chronically ill.“I try to keep the stories I tell of my own life as raw and impactful as I possibly can, which includes using post-processing techniques such as adding textures and occasionally compositing images together to add extra impact to the final product. “My images are dark and confronting, but I find that they create conversation, which I believe is important with my kind of work, as creating conversation leads to more awareness, which I hope leads to action to help or fix the issues that I raise in my imagery.“Although my images come from a deep, dark and confusing world inside my head, I encourage viewers to find their own worlds inside my images and connect to them by attaching their own meanings or stories to them.“I aim to keep on evolving as a photographic artist, and never let my health stop me from doing what I love doing the most, which is photography,” Mr Grace said.Head of Campus at CSU in Dubbo Ms Cathy Maginnis said, “We support all artists to display their work for the public to view at the University in Dubbo, and invite members of the public to visit this exhibition”. * 60 high school students expected for MyDay at CSU in Dubbo on Thursday 5 July * Free MyDay event is a great start to preparation for universitySenior high school students from across NSW will attend a MyDay at Charles Sturt University (CSU) in Dubbo on Thursday 5 July to explore a range of courses and future study options.CSU prospective student adviser Ms Hilary Matchett said, “With around 54 students currently registered, we can expect about 60 students plus parents to attend the MyDay.“The students who have registered come from a very broad area as well as our own region, from a range of schools from Forbes and Parkes, to Wellington and Coonamble.“The students who attend MyDay can learn about the courses we offer at Charles Sturt University as well as general information about university and study. This free event is a great start to university preparation.“Parents are also welcome to attend most sessions to learn more about courses and study at Charles Sturt University.”Courses to be explored by the students include nursing, social work, and teaching and education.